“Getting fired might not be the most ideal way to learn a lesson, but the drive that comes later may be exactly what some people need to elevate into heights of success they could only reach after a bad burn. Once it happens, there are two things you can do: you can either mope around feeling ashamed and defeated, or you can take the opportunity to become the best version of yourself you’ve ever known. Some of the most successful business leaders today are those who walked out with that pink slip and seized their opportunity. IN THAT FAILURE THERE WAS ALSO AN EDGE–THE DESIRE TO START OVER, AND TO DO THINGS BETTER THE SECOND TIME AROUND. The late Steve Jobs once told a group of Stanford graduates that “getting fired from Apple was the best thing that could have ever happened to [him].” Like Jobs, after businessman Mark Cuban was fired, he, too, became a beginner again, but this time, for his own company. 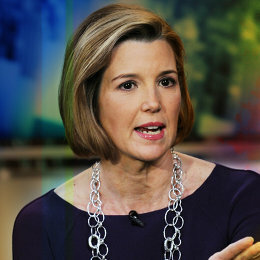 Wall Street powerhouse Sallie Krawcheck became a leading example for professional women everywhere by rising quickly back to the top of the financial world after losing her executive job at Bank of America. She’s one of the most powerful women on Wall Street and made a name for herself as chief executive officer at Sanford C. Bernstein & Co. and later Citi wealth management business division. This year, Krawcheck was named one of our most creative people in business, but even this influential woman didn’t escape a very public ousting as head of Merrill Lynch’s global wealth management division in 2011. I certainly knew I wasn’t in the new CEO’s ‘inner circle,’ but my prior career experience had been that good business results, delivered in the right way, win out. On that day, Merrill Lynch was in substantially better shape than when I was brought in two years prior. I was given 20 minutes from the time I was told until the announcement went out; I wasn’t able to reach my father by phone, so he learned about it on TV. Perhaps counter-intuitively, this treatment made my leaving the company easier; it was a hard truth that I had been spending more time with these folks than with my own family, and the job had been receiving the majority of my waking attention. Over time, I recognized I had been given a gift, which became more obvious when both of my children later experienced health issues, and I was able to give them my full time and attention. And, on the professional front, it taught me to look at business opportunities through the lens of the broader positive impact they can have, given the trade-offs we are forced to make in pursuing them. In 2013, Krawcheck bought professional women’s organization 85 Broads and has increased the company’s revenue by more than 100% since. We see the outspoken investor every Friday night on ABC’s Shark Tank, but Cuban wasn’t always the successful businessman we know today. In the early 1980s, he was sleeping on the floor of a tiny apartment in Dallas with five buddies and working as a salesman at a computer store. The job paid him $18,000 annually, plus commission so when Cuban got an opportunity to close a $15,000 deal where he was going to make $1,500, he went for it and asked a co-worker to cover for him at the office. The next day, Cuban was fired. Instead of wallowing in misery, Cuban used the experience as a determining factor to never work for anyone else. That’s the thing–sometimes you know a job isn’t right for you, but unless something traumatic changes the way you think about business, you might end up staying in a bad job just because you didn’t know any better. Less than a decade after receiving his pink slip, Cuban sold his first company MicroSolutions and made around $2 million. Before her successes at The Muse, Minshew had another company–one that she had put her entire life savings into–only to discover one morning in 2011 that she had been locked out of the system by her former colleagues. I sometimes joke that, when I lost my first company, I spent the next three weeks alternating between the fetal position and the whiteboard. Those days were unbelievably awful, and I felt completely humiliated in front of the team I’d recruited and my friends and relationships. I couldn’t believe I had failed so utterly. And yet, in that failure there was also an edge–the desire to start over, and to do things better the second time around. That’s where the whiteboard came in. After the first few days of utter dejection, I started thinking coherently again. With my cofounder Alex, who was in the same position, we started chipping away at a very dangerous idea: what would we need to consider starting over? Eventually, the answer became concrete enough that we felt we were capable. A few days later, The Muse was born. A few months later, Minshew’s company raised more than $2 million in venture and angel funding. When Buergari was in law school, he was hired by a company to conduct “electronic discovery,” which meant digging through emails, instant messages, and other documents to discover useful information for litigation. When one customer asked Buergari to find documents as quickly and cost-effectively as possible, Buergari asked his boss if he could try specific technology which would sift through the documents quicker. His boss turned down his offer since “electronic discovery” is meant to be expensive and for use by lawyers. If Buergari cheapened and quickened the process, he would also drop the value of the services and his boss did not want their e-discovery process to be cheaper, says Buergari. Instead of agreeing, Buergari persisted and even offered to quit and become a consultant instead so that he could try out the new technology. That’s when his employer decided to fire and sue him, which led him to drop out of law school, live off of credit cards and, of course, start his own company. “When everything is hard … you just have to stay strong. That’s when you know you can be a leader that drives a company forward,” he says. Last year, Buergari’s company was listed on Inc.’s 5,000 fastest-growing companies with $18 million in sales and 1,120% growth in the last three years. Like Krawcheck, Saladino also describes his experience as “a hard punch to the gut,” but without being fired, this former “Mr. Nine-to-Five” would have never forced himself to fall forward into entrepreneurship. With my back to the wall and no financial assistance coming from anyone, I was left with two options. Feel sorry for myself and sulk, or go out there and make it happen. The very next day I sprung into action. I vowed to never have my fate in someone else’s hands again. I was going to start my own company and control my own destiny. The path of the least resistance was to leverage my existing contacts, knowledge, and skill-set and open an e-commerce company selling kitchen and bathroom cabinets nationwide. Today, I look back on that day as one of the best things that ever happened to me. I learned that life is all a matter of perspective. Bad things will happen to everyone, but it is how you respond which separates the winners and the losers”.